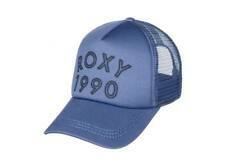 Truckin Trucker Cap. Roxy floral graphic screened on foamy front panel. Adjustable snapback as pictured. Size: Snapback Adjustable. Material: 100% polyester. Color: Black. Made in China. Dig This Trucker Cap. Roxy floral graphic screened on foamy front panel. Adjustable snapback as pictur ed. Size: Snapback Adjustable. Dig This Trucker Cap. Roxy floral graphic screened on foamy front panel. Adjustable snapback as pictur ed. Size: Snapback Adjustable. Material: 100% polyester. Color: Black. Dig This Trucker Cap. Roxy floral graphic screened on foamy front panel. Adjustable snapback as pictur ed. Size: Snapback Adjustable. Color: Navy. Truckin Trucker Cap. Roxy floral graphic screened on foamy front panel. Adjustable snapback as pictur ed. Size: Snapback Adjustable. Color: Morning Sky. Material: 100% polyester. Made in China. Trucker Cap. Adjustable snapback as pictured. Size: Snapback Adjustable. Material: 100% polyester. Made in China. It's that simple and will save you a bundle! Local Pick-Up: Local Pick-Up is FREE! If you let us know when you are stopping by, we will have your order pulled and ready for you. We accept. 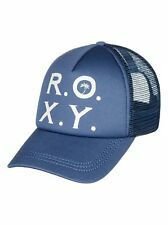 Embroidered ROXY lettering. Pom style beanie. Style Beanie. Color Gray. MPN ERJHA03435-SJEH. We appreciate it! One size fits most. Folded fit.